Explore Sonora is published 3 times a year. 3 Time Advertorials: We put your business into the right words with you! No. Please run my Display Ad as is. Yes! I want an advertorial instead. This option requires a 3x commitment. 50% deposit to reserve space and any discounts. Balance is due on publication. 30 day past due accounts are subject to a 1.5% per month finance charge. Only flagship (1st Issue & Reprint) or 3x advertisers may request a Payment Plan with Full Payment Due 90 Days after Publication.Please indicate your request in the NOTES space provided in the form to the right. Ad Design is available at an additional Charge. Ad Design is available by calling 209.352.3551. 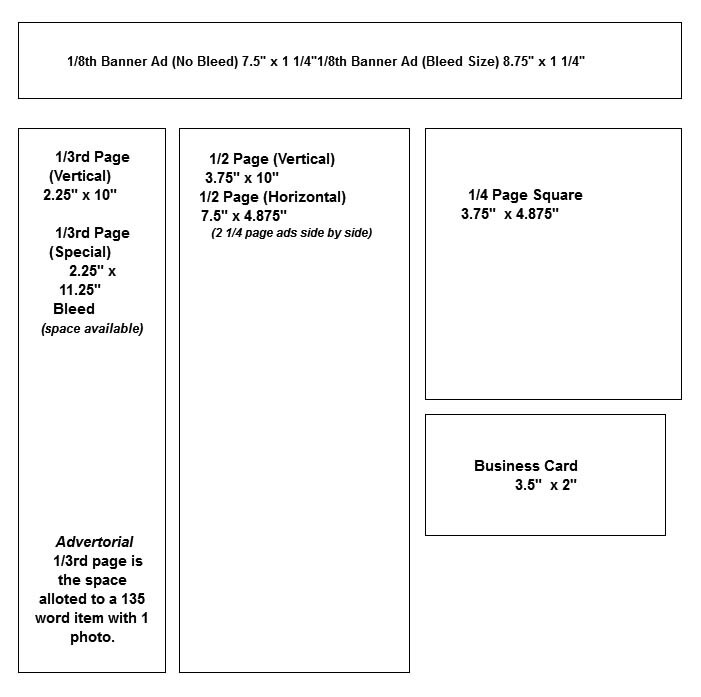 3x Rate and 1/2 page or larger receive free Ad Design. Base Rate is billed at a rate of $55.00 per hour. Flagship advertisers receive a 15% Discount on Ad Design Charges.